Ismaily have suffered another defeat in the CAF Champions League group-stages, losing 2-1 at home to Tunisian side Club Africain. The Ismaila-based club are placed in group C alongside Congolese giants TP Mazembe, Club Africain, and Algeria’s CS Constantine. They started their campaign with a 2-0 away defeat to TP Mazembe, and needed to pick up the three points against Club Africain in order to have a chance to qualify for the quarter-finals. 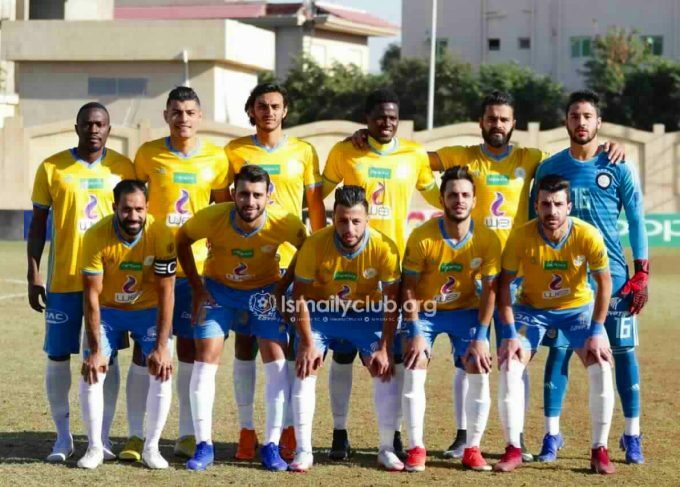 Ismaily started the game brightly, as new signing Benson Shilongo fired them in an eighth-minute lead after he converted Tarek Taha’s perfect cross. Ayadi’s goal was Club Africain’s first-ever goal away from home in the CAF Champions League group-stages. Five minutes later, Ismaily conceded another penalty, this time Richard Buffor tackled Club Africain’s forward. At first, the referee awarded the visitors a free-kick, however, the assistant referee made him change his decision. Ghazi Ayadi converted the second penalty, ending the first-half 2-1 to the Tunisian club. The second-half didn’t witness much action as Cameroonian referee Neant Alioum had to stop the game multiple times due to a riot by the Ismaily fans, who protested the referee’s decisions. The defeat put Ismaily bottom of the group with no points from six, while Club Africain moved up to third place with three points. TP Mazembe will face CS Constantine on Saturday.